This blog has helped me gain more friends within my profession, around the world, than I could ever have hoped for. I know some readers may think it odd that anyone would want to commit time outside of work to work related things, and also would find it maybe a little strange to communicate and talk ‘shop’ with other professionals when they are not actually at their place of work. EMS doesnt work like that though. If you are dedicated to what you do, it encroaches on other aspects of your life, even if you try and not let it. I am fine with this, but it also helps that I am married to another paramedic, who loves reading the comments and emails that come in to me just as much as I do! Tonight, I would like to tell a tale about ‘a friend’ who has told me about a very difficult time that he is having following on from a really traumatic job that he recently attended. For the purpose of this discussion, I will call him Dan. Dan emailed me to explain what he is going through. He dealt with a job that I can only describe as a ‘bad traumatic death’ and is finding it hard to deal with. He has been qualified for three years and seems to think that he should be able to deal with things like this after that period of time, although he recognises that for him, it doesnt seem to be coming very easily. I cannot go into details, and indeed, I wouldn’t, because I would not betray the trust that Dan has put in me, with sharing his troubles. I have deliberately kept this vague, but everyone in the job, and those who enjoy reading about it, will either know or realise the impact that the bad jobs have on us. It doesn’t matter if you have been in 1 year or 25 years, there are always things that can hit us harder than we would expect, and when we least expect it. Personally, the trauma deaths tend not to bother me too much, unless it is a child. I do however, have sleepless nights sometimes and shed more than a few tears on some jobs which I am sure most would just take in their stride. Mrs Medic999 recently had a traumatic death at work which I cannot go into as it is far to easily identifiable, but suffice to say, we stayed up late into the early hours talking about it and she had a number of bad nights sleep following on from it. We are not rookies, far from it, but it still gets to us. I don’t think we would be as compassionate in our dealings with our patients if we hid our feelings away from ourselves. I guess, the point of this post is to try and get some more support for Dan from you lot out there. How do you deal with the bad jobs? Is it a good or a bad thing to ‘feel’ the impact of the things we sometimes have to deal with. Is it normal? etc etc……. I’m sure he would appreciate your words of wisdom and support. In our line of work we see some things that we wish we hadnt and that is the hardest part of the job. Whether it be the 90 y/o female who just lost her husband of 70 years or the mother who has just discovered her lifeless newborn in the crib. Nothing can change the way we feel and I encourage you to express those feelings, as keeping them inside will only lead to burnout later down the road. I encourage you to seek some help, maybe from co-workers as they can usually understand the feelings you are having or maybe some professional help. What you must understand is that these are perfectly natural feelings and are nothing to be ashamed of, It just shows you are human. I agree with Matt 100%. Talk with co-workers, share your experience, talk your way through it. Keeping it bottled up or under wraps will destroy you in time. My service offers counseling at many levels for just such issues and can be contacted confidentially or they can come to the station after a bad run. As bad as it was, it will never leave your memory, but you will control it, it won’t control you. All over the world medics understand what you are going through, we all carry the baggage of disturbing calls. I still occasionally wake up in the middle of the night haunted by a call from 20 years ago! You don’t ever fully get over some of these experiences but you will adjust to them – I promise, you won’t feel this bad forever. Part of the best treatment is just to talk to your co-workers; they will understand – you can call or email me if you want. Professional treatment is an option and could help but in my experience an empathetic ear from other medics is just as useful. Find yourself an outlet to let off steam – this can be anything; a fun hobby (blogging if you’re Medic999 – sorry, couldn’t resist Mark!) or exercise. Personally I love a good walk in the woods with my dog and the daily NY Times crossword. These traumatic calls become part of who we are and none of us “just deal with it” but as HappyM said; you will (eventually) control it. Until then we’re here of you need it: you’re not alone. It is not and never will be. This “job” contains so many factors that affect our (private) lives, leaves traces and sometimes scars in our hearts and souls. As a medic you never can be prepared for every situation you may be confronted with. From my point of view it is really important to be true to yourself and accept that in some cases we all may need professional help. Of course it is very helpful and supportive to talk to people that have similar experiences. But this kind of support has limitations. And these limitations are definitely reached when you are running the risk to get a PTSD. To seek professional help shows your professionalism. This is what I have fortunately learned over the years. Dan, you are always invited to join your experiences with me/us. Dan, I can relate completely. My first call was an extremely traumatic death and I still think of it daily and it bothers me. The call itself bothers me as well as the pictures that won’t leave my head. 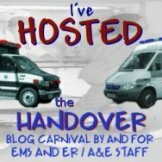 I talk about it (my husband is also in EMS) whenever I feel I need to but sometimes I feel like that avenue has also been exhausted – thus my blog. I don’t care if no one reads it or if everyone does, it helps me let things out. And I don’t think I ever will get over it or forget it. I think I will have to make the experience a part of my past and learn to live with it and not be embarrassed if it bothers me more than others think it should. Power to you, Dan, I hope you can find a way to live with it and yet not forget it. Medic999, thanks for the post – it’s nice to know we’re not alone no matter what the situation. First of all I want to thank you all for you’re kind words. I’m slightly overwhelmed by the support and encouragement by everyone. Its amazing to know that such backing has come from EMS staff everwhere. A few days have passed now and after alot of reflection, a good chat with my crew mate and some well needed sleep I’m feeling much better. Sometimes you have to dig deep! Last but not least a massive thank you to medic999. Thank you for letting me express myself and thank you for giving support and advice when it was needed. They way you have helped EMS staff across the globe communicate and come together is admirable. To you sir, I tip my cap.